On Saturday, June 2nd, we held our Spring Hackathon. Students were introduced to App Lab in order to create Mobile Apps. The problem presented to them was to create an app for a phone that would be helpful to their community. We had a fantastic time despite the heat! 2nd Place (social impact-raises awareness) Gryphon Lee, James R and Gabriel Paredes – created an app to help raise awareness for Recycling. Special thanks to Ms. S. Shikowitz and Ms. J. Pignataro for their help. Public Forum: One of our teams advanced into the Top 16 (Octafinals) and one of our teams made it into the Top 8 (Quarterfinals)! Three of our students earned individual Speaker Awards, which is a new record for the Halsey Bulldogs! Parliamentary: One of our teams made it into the Top 16 with a near-perfect record, and one of our Halsey Bulldogs earned a top 10 individual Speaker Award! Nice! Congressional: [there are no teams in Congressional] Two Halsey Bulldogs took Second and Third place overall! Awesome! 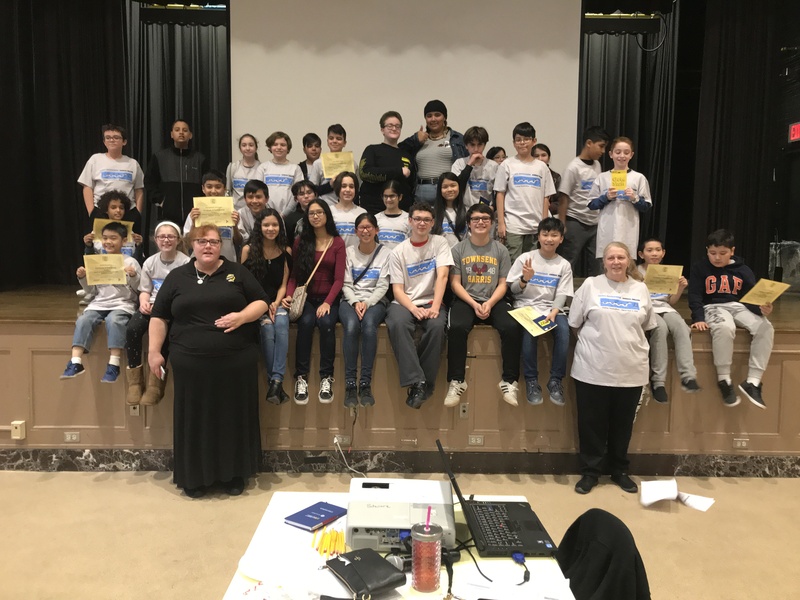 Congratulations to the Debate Team for an impressive showing in the City Championships, and thanks again to Ms. Tchilingarian and Mr. Sarris who were amazing coaches.